1384. Werner, Bert. Uniforms, Equipment and Weapons of the American Expeditionary Forces in World War I. Schiffer. 2006. 326. DJ. 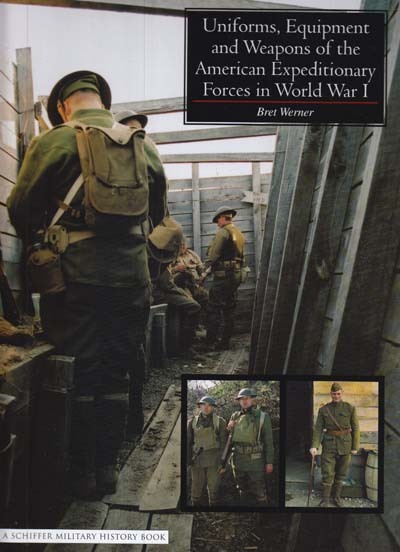 Uniforms, Equipment and Weapons of the American Expeditionary Forces in World War I is a detailed look at the uniforms, equipment, weapons, personal items, insignia, and specialist equipment of the American Army during the Great War. This comprehensive study uses over 100 original black and white photographs of American soldiers, many of which are previously unpublished. The book also shows over 700 full color photographs of original items as well as recreated scenes that bring many of these items to life. Finally, one book that covers all of the nuances of the American Doughboy during the Great War – from common uniforms and equipment, to the rare experimental and private purchased items. This is an indispensable work for any First World War collector, living historian, modeler, and enthusiast. (M). $79.95. 28246. 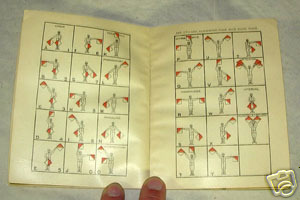 SIGNAL BOOK. United States Army. Wash. 1916. 64p. Cloth wraps. 24 Mo. Filled with information on visual signaling including Morse Code, Signaling by Coston lights, flag, torch, lantern, heliograph, Ardois system, semaphore, letter codes, telephone and more. 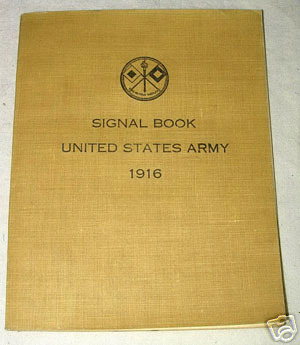 Includes color plates of signals and flags. Clean, crisp. (VG+). $48. PA-55. Department of the Army. Small Arms Ammunition. TM 9-1305-200. 78p. Soft wraps. Marked U.S. Coast Guard Shinnecock Station. June 1961. Includes general and technical information concerning small-arms ammunition as well as proper handling and use. Filled with diagrams and information on over one hundred types of ammunition. Detailed reference. 21550a. H. R. Document No. 38. TWENTY-EIGHTH ANNUAL LIST OF MERCHANT VESSELS OF THE UNITED STATES WITH OFFICIAL NUMBERS AND SIGNAL LETTERS…. FOR THE FISCAL TEAR ENDED JUNE 30, 1896. Wash. GPO. 1896. 454 p. Complete listing of merchant and US Government vessels operating and includes all steam, sailing, iron and steel and unrigged vessels giving official number of vessel, signal letters, rig, name, tonnage, dimensions, year and place of building, home port and more. In addition to merchant vessels, includes tenders of the U.S. Light-House Establishment, Revenue Cutter Service, US Navy, Quartermaster’s Department of the Army, Coast and Geodetic Survey, US Fish Commission, Marine Hospital Service, and more. Extremely important reference. Clean, tight, in half-calf binding with marbled boards and endpapers, gilt embossed spine. Light wear, clean, some chipping to leather on spine but title intact. (VG-). $75 net. 994. McGuinn, William F. and Bruce S. Bazelon. AMERICAN MILITARY BUTTON MAKERS AND DEALERS; THEIR BACKMARKS & DATES. Fredericksburg. 1996. 135p. This is a comprehensive study that is an invaluable tool in identifying buttons and what period they were manufactured. With this and Albert’s book Record Of American Uniform And Historical Buttons, you are well equipped to properly identify buttons and determine what period they were manufactured. With hundreds of photographs and details of back-marks (lettering and symbols on the obverse of buttons) one can determine the date and location of manufacture, wonderful for dating your U. S. Revenue Cutter Service, Life-Saving Service, Lighthouse Establishment and Service and Coast Guard buttons. This is a comprehensive discussion and listing of all makers and suppliers of American military buttons covering the period from ca. 1790 to ca. 1945. A MUST for collectors and historians. Hard bound, high quality with literally hundreds of photographs. (M). $34. 11339. Fowler, Chuck, Dan Withers, Combatant Craft of America. Patrol and Rescue Boats on Puget Sound. Arcadia. 2011. 128p. Soft wraps. 180 vintage photographs. The history of impressive battleships, aircraft carriers, and submarines on Puget Sound has been well chronicled. 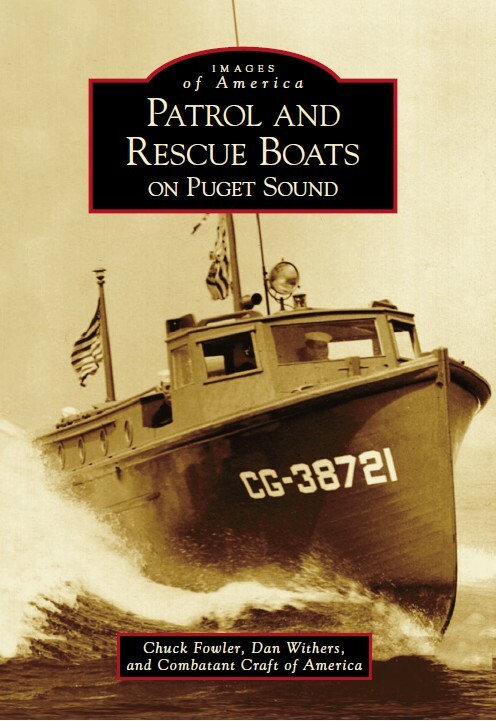 However, the story of the smaller, fast patrol and rescue boats that have protected its vast inland waters is largely unknown. This book, through more than 200 rare images and engaging text, reveals the fascinating story. It covers Navy, Coast Guard, and Army Air Force craft in the sound, including the famed patrol torpedo boats of World War II. Featuring evocative photographs from the National Archives, as well as veterans’ personal collections, this book highlights these military craft, their proud crews, and essential wartime and peacetime operations. Superb photographs, well worth it for the photos alone. (M). $21.99. 1019. Foster, Colonel Frank C. and Lawrence H. Borts. Military Medals of the United States. Fountain Inn. 2010. 192p. Soft wraps. 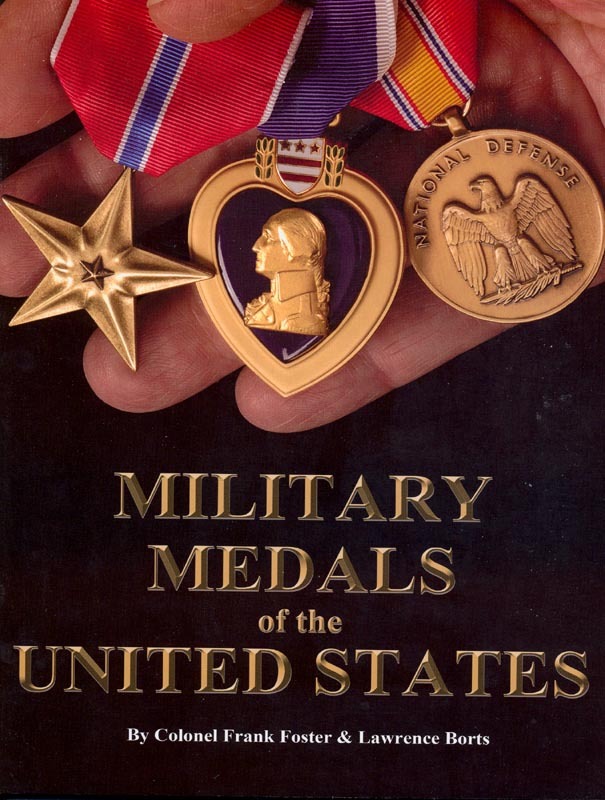 Military Medals of the United States, here in its seventh edition, is an authoritative reference work on the subject. Included are complete criteria for every Army, Navy, Marines, Air Force, Coast Guard, and Merchant Marine award since 1939. All decorations, service medals, and ribbons shown in b/w or full-color and accompanied by dates and campaigns as well as detailed descriptions on proper wear and display. The many illustrations make this book a truly beautiful reference work. The book also contains detailed information about the various devices worn on each ribbon, guides to the proper wear of medals and ribbons on the uniform, and much more. There is even a special section on United Nations mission medals. Included are: Criteria for all medals listed in full detail with dates and campaigns; Superb front and back color pictures of all U.S. Military decorations, service medals, marksmanship medals and ribbons, plus commonly awarded foreign medals; Separate color ribbon display in correct order of precedence for Army, Navy, Marine, Air Force, Coast Guard, and Merchant Marine awards since 1939; Complete chapter on devices for awards and ribbons – cross referenced with medals; Complete section on wear and display of U.S. Military Medals for all branches; Valuable section on how to claim your medals from the government. (M). $24.95. 23368b. [lot] Lorenzo Sitgreaves (ca. 1811-1888) – U. S. Lighthouse Engineer, Surveyor and topographical engineer. 1. Civil War era check register maintained by Major Lorenzo Sitgreaves, 6" x 8.25", marigold paper cover, handwritten on front, "Ist National Bank, Madison , Wis , 1864, Aug. 3 to Oct. 22". 55pp. used -- appx. 162 checks. Some of the names: Lieut. A Rood; Maj. G. R. Giddings; Maj. N. Richardson; Capt. Wm. C. Young; Lieut. J. H. Purcell; Col. C. S. Lovell and more, and many non-officers. Payment notations include: transport; rent; rations; stationary; lodging; telegrams, "services clerk Camp Randall ." Unsigned by Sitgreaves, though he possibly wrote his name on one of the checks. Also included is similar bankbook in account with Maj. Sitgreaves. 2. U. S. Lighthouse Establishment, manuscript invoice/receipt, 1p., 8" x 10", Sept. 1853, ADS signed three times, "L. Sitgreaves" Capt. T.E. L.H. Insp. Top notes that Sitgreaves is owed and appropriation of $61.50 "For fuel & quarters of the officers of the Army serving on Lt. House duty - 3 March 1853" and "For fuel and quarters while stationed at Detroit Mich on Lt. House duty, from 1 July to 30th Sept". Sitgreaves then certifies that the above was for Lt. House use and then notes that he received payment on 30 Sept. 1853. 3. Original Survey Notes [in hand of Lorenzo Sitgreaves]. Two manuscripts: 1. 3 1/2pp., 8" x 10", Aug. 3, 1851, ink on blue paper. Reads, "Method used in making observations for azimuth at [delta shape] Mt. Pleasant , U. S. Coast Survey" and "Result of observation for azimuth before and after culmination." Appx. two pages of text, one page chart and one and half pages of keys/formulas. The text notes, "The elongation mark used in the observations was placed almost exactly in line to Mt. Blue , on the summit of the next ridge of the mountains about a mile distant from the station." Quite esoteric, however was written in the same year that Sitgreaves led his noted survey expedition. Fine condition. 5. Mixed assortment of items – fine gravure cabinet style portrait photo, possibly Sitgreaves in his later years; retirement papers; letter to Sitgreaves at age three from his aunt; billheads; original 1888 will leaving his goods to Ms Mary Jesup Sitgreaves; 1878 hand written last will; published will of brother Theodore R. Sitgreaves; 1882 letter from brother; misc. letters/papers. Appx. 25 items. An important lot relating to this noted lighthouse engineer. $585 net. Reduced to $495. 8397a. Williams, Colonel Dion. ARMY AND NAVY UNIFORMS AND INSIGNIA How to know Rank, Corps and Service in the Military and Naval Forces of the United States and Foreign Countries. New York. 1918. 302p. 12MO. One of the earlier and most complete references on the subject by a well known authority, profusely illustrated. Includes uniforms of the Coast Guard and Lighthouse Service, and some Congressional life-saving medals. Clean, tight, only light wear. Quite rare, and one of the few that includes the Lighthouse Service. (VG). $118 net. Collection of Federal Agencies Uniform Buttons - 30 Different - Air Transport Command, Army Specialist Corp, US Park Police, US Border Patrol, Panama Zone Police, US Immigration Service, US Public Health Service, US Forestry Service, Army Transport Service, US Customs, Civilian Aviation Corp, US Official, US Army Transport, US Power Squadron, US Airmail, US Life Saving Service (early style with surfboat w/2 oars), US Lighthouse Service, US Light House Establishment, Veterans Bureau, US Coast Guard, US Coast Guard Auxiliary, US Indian Service, US Department of Agriculture, National Park Service Department of Interior, US Geodetic Survey, US Maritime Service, Different style US Maritime Service, US Post Office Department staff button picture of Horse and Rider. Lot price $495 or will sell individually. Please inquire. 20102. 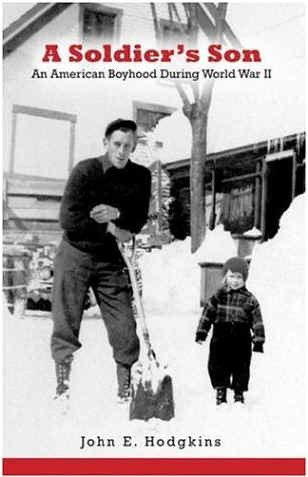 Lord, Francis A. and Arthur Wise. UNIFORMS OF THE CIVIL WAR. Cranbury , NJ . 1970. 174p. Soft wraps. Tells the fascinating story of what American soldier wore during the Civil War. Throughout the war there were thousands of units in both armies, many with their own distinctive uniforms. In addition to the Army of the United States , the U. S. Militia, Navy and Marine Corps and special units, the Confederate Army, Navy and marine Corps is covered as well. Allso, a chapter is devoted to prisoners, Bushwackers, Deserters and Veterans and another is concerned with supply allowances and issue of uniforms. An extensive appendix including names of suppliers and patents issued is included. Also includes Deck Officers and Engineers of the U. S. Revenue Cutter Service. Clean, tight, good copy. (VG). $38. 7439. Britton, Jack. UNIFORM INSIGNIA OF THE UNITED STATES MILITARY FORCES. Tulsa , Oklahoma . 1981. 58p. Stiff wraps. Includes illustrations of cap badges, rank insignia, badges, wings, etc for the Coast Guard, Navy, Army, Air Force, Marine Corps. And Civil Air Patrol. (M). $48 net. 21413. Hickox, Ron G. , U.S. MILITARY EDGED WEAPONS OF THE SECOND SEMINOLE WAR 1835-1842. 1984. 1st. 102p. Soft wraps. The book is divided into three sections; The Second Seminole War, New Weapons & Arms Makers, Swords & Bayonets Of The U.S. Army & State Militia, Edged Weapons Of The U.S. Navy, Marine Corps, & Revenue Cutter Service. Subjects covered include War in Florida, New Weapons, Edged Weapons Manufacturers and Military Goods Dealers, Foot Artillery Swords, Model 1832, Dragoon Enlisted Man's Saver, Model 1833, Dragoon Officer's Saber, Model 1833, Non-Commissioned Officers' Swords, Starr Model 1818, General & Staff Officers' Sword, Model 1832, Infantry & Artillery Officers' Swords, Medical & Pay Department Swords, Corps of Engineers & Topographical Engineers' Swords, Musket, Rifle and Carbine Bayonets, Militia & Volunteer Swords, Starry Naval Cutlass, Model 1826, Naval Officers' Swords, Marine Corps Officers' Swords, Revenue Cutter Service Swords, Pikes and Axes, Naval Dirks, and Naval Surgeons' Swords, Sword Nomenclature, Edged Weapons Procured from Europe by the U.S. Ordnance Department, 1832-1841, and more. (VG+). $48. 8425. Campbell, J. Duncan and Edgar M. Howell. AMERICAN MILITARY INSIGNIA 1800 – 1851. Smithsonian Institution, Washington , DC . 1963. 124p. Stiff wraps. A most comprehensive history and listing of early insignia of the Militia, Army and Corps of Topographic Engineers of the United States that was prescribed during the period 1800 – 1851. This is an important reference and is a must for the serious collector. Included are cap and helmet devices, and shoulder-belt and waist-belt plates [buckles]. Well illustrated with over 276 photographs. A fine and important reference. Ex. Lib. (VG). $48. 9164. na. ILLUSTRATED CATALOGUE OF ARMS AND MILITARY GOODS: CONTAINING REGULATIONS FOR THE UNIFORM OF THE ARMY, NAVY, MARINE AND REVENUE CORPS OF THE UNITED STATES. Schuyler, Hartley & Graham Company. New York . 1864. [Reprint of 1961]. 160p. DJ. The original illustrated catalogue used for this reprinting was one of the very few left in existence. The catalogue has become a priceless source for American military uniform information, particularly of the Civil War era. In addition to hundreds of full page plates and illustrations, included are the uniform regulations for the Army, table of pay, uniform regulations for the Navy, Marine Corps, and most interesting is the Uniform and Dress of the U. S. Revenue Cutter Service. Superb illustrations include all manor of swords and sabers, belts, hats and caps, ornaments, officer shoulder straps, embroidered ornaments, trimmings, buttons, spurs, arms and ammunition, field glasses, and more. A splendid reference, particularly for Army and Navy. Clean, tight. (VG). $98. 21198. Todd, Frederick P., AMERICAN MILITARY EQUIPAGE 1851-1872 VOLUME III. With original illustrations by George Woodbridge. The Company of Military Historians, Providence, RI, 1978. oversize, 8 1/2" x 11", hardcover, pages 521-719, with four color plates, vintage photographs and numerous illustrations. This volume covers Part Three - Confederate States Navy and Marine Corps, United States Navy and Marines Corps. Part Four - Armies of the States and Territories - The States Forces - Alabama, Arkansas, California, Colorado Territory, Connecticut. Includes information on Officers dress, warrant officers, petty officers, seaman’s dress, Revenue Marine - Revenue Cutter Service, firearms, swords, dirks, knives, pikes battle axes, accouterments, flags, 1859 uniform, insignia, small arms, colors and flags, CSA Marine Corps, state regiments of the Civil War, Order of Battle, and much more. Great reference book for collectors and historians. (M). $46.50. 994. McGuinn, William F. and Bruce S. Bazelon. AMERICAN MILITARY BUTTON MAKERS AND DEALERS; THEIR BACKMARKS & DATES. Fredericksburg. 1996. 135p. This is a comprehensive study that is an invaluable tool in identifying buttons and what period they were manufactured. With this and Albert’s book Record Of American Uniform And Historical Buttons, you are well equipped to properly identify buttons and determine what period they were manufactured. With hundreds of photographs and details of back-marks (lettering and symbols on the obverse of buttons) one can determine the date and location of manufacture, wonderful for dating your U. S. Revenue Cutter Service, Life-Saving Service, Lighthouse Establishment and Service and Coast Guard buttons. This is a comprehensive discussion and listing of all makers and suppliers of American military buttons covering the period from ca. 1790 to ca. 1945. A MUST for collectors and historians. Hard bound, high quality with literally hundreds of photographs. (M). $46. 7439. Britton, Jack. UNIFORM INSIGNIA OF THE UNITED STATES MILITARY FORCES. Tulsa, Oklahoma. 1981. 58p. Stiff wraps. Includes illustrations of cap badges, rank insignia, badges, wings, etc for the Coast Guard, Navy, Army, Air Force, Marine Corps. And Civil Air Patrol. (M). $48 net. 8397a,b. Williams, Colonel Dion. ARMY AND NAVY UNIFORMS AND INSIGNIA How to know Rank, Corps and Service in the Military and Naval Forces of the United States and Foreign Countries. New York. 1918. 302p. 12MO. One of the earlier and most complete references on the subject by a well known authority, profusely illustrated. Includes uniforms of the Coast Guard and Lighthouse Service, and some Congressional life-saving medals. Clean, tight, only light wear. Quite rare, and one of the few that includes the Lighthouse Service. (VG). $158. 2985. Olson, Lorraine. OLD BUTTONS and THEIR VALUES. Chicago. 1940. 3rd. 111p. Early primer on the subject includes classifications, appraising, dating, early button factories, etc. A bit crude but a good beginner on the subject. With a number or tipped in articles on the subject, some hand-written notes. Overall clean, intact but shaken, some toning. (G+). $10. 770. na. INSIGNIA AND DECORATIONS OF THE U. S. ARMED FORCES. National Geographic Society. June 1943. 72p. Full issue, soft wraps. With over 991 color illustrations and additional photographs of uniforms and insignia of the U. S. Armed Forces including Coast Guard, Army, Navy and Air Corps. Includes medals, marks, uniform insignia, aircraft insignia, and much more. A complete preliminary reference of the era. (VG). $18. Page updated September 18, 2016 . All text and illustrations on web site Ó James W. Claflin . 09/18/2016 All rights reserved. Use prohibited without written permission.